Geek Girls Rule! #144 – Game Related Fiction – Geek Girls Rule!!! Yes, I know, we all shudder when we hear that and think back to certain novels we may have loved in our teens, but we look back on them now and cringe. * cough Shadowrun, Nigel Findley cough* But hey, we loved them at the time and they served a purpose. Ok, a couple of purposes, 1. To get teenagers reading and 2. To expand on the world building that could only go so far in color text in the game books. 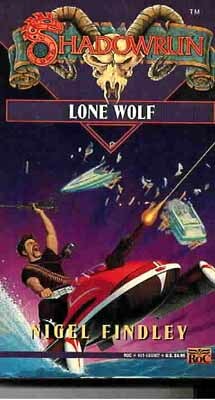 My love of Nigel Findley’s Shadowrun books and a brief teenage infatuation with a series of books that rhyme with “FlagonDance”, notwithstanding, they’re really not that great. I’m ok with admitting that I like stuff that’s kind of crap. Sometimes that’s what you need. But in the 2000s, the folks at Games Workshop started up the Black Library imprint. The Black Library books are GOOD. Seriously good. I started out reading the Jack Yeovil (pen name for Kim Newman) stuff, about Genevieve much of which had originally appeared in issues of White Dwarf, because vampires, duh. 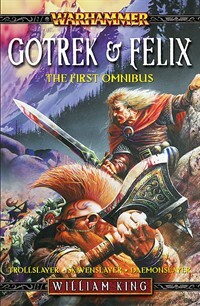 Then I discovered William King’s Felix and Gotrek novels. Ok, I’ve been reading really spectacularly graphic horror since I was ten. I love horror, I love the gross out. The description of the Plague Skaven in Skaven Slayer made me have to quit eating lunch and wait until the nausea passed. I think the only other fictional thing that’s given me that kind of visceral response was the scene in Dead Alive where the one zombie’s pus squirts into someone’s soup. Seriously, barf. Anyway, the Felix and Gotrek novels are amazing. As are the Gaunt’s Ghosts books by Dan Abnett. I’ve also read the Brunner the Bounty Hunter books and the Witch Hunter books. My friend Alex has loaned me the first Caiphas Caine omnibus, which is on my to-read list right after finishing Gail Carriger’s books. I’ve got a back log of Black Library books to finish reading in general. The problem with reading the 40K stuff is that I’ve never played that much 40K. Granted, you really don’t need to be familiar with the games to enjoy the books as stand alone works of fiction. But it does help to give you some insight into backstory you wouldn’t otherwise have. Honestly, I think the Black Library stuff as a whole is far, far above and beyond the quality of most game-related fiction out there. Jilli (The Lady of the Manners) says that the stuff White Wolf published to support their Victorian Vampire setting is actually pretty good, but I haven’t had a chance to read that yet, so I don’t know. ETA: Really? Not until JULY???? That is not playing fair. You should be able to find it in used bookstores. Honestly, for what it is, it’s not bad. It’s fun, braincandy. STay far, far away from the WoW books. I read one of Knaack’s, because I liked the Dragonlance stuff he did. Oy vey, Maria. Oh, how I devoured those, uh, “FlagonDance” novels back in the 90’s. I have a whole stack of them at my parents home. (I may have the hardcover annotated trilogies in my apartment…yeah) Anything recent that I’ve tried in that world has been pretty much crap, though. In other old game-fiction, I was also a sucker for the vaguely-related-to-The Bard’s Tale videogame books written (I think?) by Josepha Sherman. I knew nothing about the game, but I liked the books (starting with the terrible cover art on Castle of Deception.) I remember them being fairly predictable, but heartfelt. There’s a new D&D comic that just started, I picked up the first issue and it looked kinda fun. I haven’t read much new tie-in stuff recently, but every time I go to the library the Star Trek and Star Wars novels call to me a little. When I was young, I bought and read a number of Nintendo Power children’s novels based on Nintendo’s best selling games. I only ever got the ones based on Megaman 2 and Castlevania 2, and I remember being horribly frightened by one point in which a new fictional character faces off against Death’s boss. Reading them now, they’re goofy as all hell. I would recommend that you stay the HELL away from anything done by Blizzard and based on Starcraft. I had the unfortunate chance of buying Starcraft Ghost: Nova by Keith DeCandido, and it was the only time in my life that I actually threw a novel clear across a room out of righteous anger. It was a huge angst run where Nova, who is in Starcraft 2, has about as crappy an origin as any new X-Men character… times by a factor of ten. And in the end, it’s all negated by a deus ex machina that made me want to strangle the book. Frankly, I found that to be really condescending, and so I’ve refused to buy either his or any other of Blizzard’s books. For once, I would like to see a female lead in a sci-fi story NOT get treated like absolute crap in an origin story. I also think that since my first name is Jamie, a unisex name, he thought I was a girl and so upped the condescension.